It’s back to business and we have some interesting data for you this month. Almost all of the major sizes 49” - 63” have experienced a small decline in average pricing. Although a very small relief, we do not foresee this being cause for celebration. Examining the peak prices during the previous shortage and comparing them to the recent growth patterns from May 2010 to present, there is still a lot of potential for largely inflated tire prices (especially when comparing truck shipment data from the two periods). Just over the last year, the price for a 40.00R57 has increased 362% (May 2010 – May 2011). 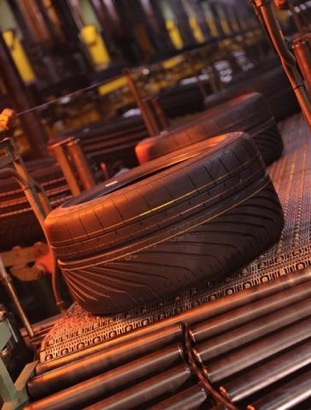 Natural Rubber remains one of the primary driving forces behind continuing price increases from manufacturers. The market has experienced 77 individual price increases from 18 tire makers this year. More concerning is the rapidly decreasing global inventory of Natural Rubber which will certainly lead to further price increases and shortage of the raw material to produce finished goods. Truck shipments are also casting an ominous cloud over OTR availability and pricing. Start-ups and expansions will drive the demand for tires through the roof as we enter 2012, potentially throwing the spot market into a state of relative chaos. Based on estimates of growth in key mineral sectors and geographic regions, we may see a global population of nearly 38,000 trucks (90 mt+) come 2015 – where in 2010 we found ourselves at approximately 27,500. This projection represents a 12% increase against peak 2008 shipments when tire prices were at their highest points *(Parker Bay Mining report). We foresee the end of 2011 and the beginning of 2012 to be an extremely critical time. As trucks begin to ship to large start-ups and expansions, the demand for tires will grow exponentially in the market... This of course means that less tires will be available to a growing population of trucks, ultimately driving prices further. The mines that remain proactive in procuring tires, trialing new brands, and finding trusted suppliers, will remain rolling at the lowest average cost... The others may find an up-hill battle to keep units in operation at the dear expense of profits.